Michael Dutchover (9-0, 6 KOs)–A young prospect with the potential to become a world champion star. As an amateur, Dutchover won numerous regional tournaments, which qualified him for regional and national competitions. In 2016, he placed 2nd in the National Golden Gloves Tournament in the 132-pound division. On April 14, 2017, Dutchover earned a 3rd round stoppage over Eder Amaro in National Harbor, Maryland, a fight which was featured on the undercard of the Showtime ShoBox event. 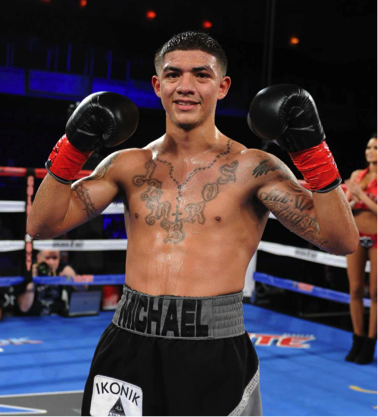 Most recently, Michael stepped up in competition and won a 6 round unanimous decision over Miguel Carrizoza (10-1) in Ontario, California on June 23, 2017. In his last bout, Dutchover stopped Mike Fowler in 3 rounds on May 11, 2018 in Ontario, California.